Amalgamated Metals Recycling, or AMR as we like to call ourselves, is a licensed metals recycling merchant. We collect, sort, process, recycle and resell recycled metal. We purchase all forms of ferrous metals, such as iron and steel, and non-ferrous metals such as aluminium, copper, zinc, stainless steel, lead, nickel, brass, tin, bronze and more. We buy from a wide range of sources including the general public, local scrap metal traders, other recycled metal merchants, construction and demolition contractors, manufacturing companies, and government to name but a few. We buy any volume ranging from high tonnages to small quantities from individuals. Sellers can deliver directly to us, or we can arrange collection of larger volumes. We have a vast fleet of trucks, trailers, skip bins and hook lift bins to provide you with efficient, reliable collection and/or delivery of materials. We have mobile balers, shears, croppers, gas cutters and heavy lift capabilities available on request for the collection of large loads and demolition contracts. We also place skip bins or hook lift bins on site for larger customers. The metal is paid for by weight as measured by our accurate 60-ton weighbridges and smaller scales, all of which are SABS approved. Prices fluctuate according to both local and overseas metal markets, but we can guarantee that our prices are always highly competitive. The safety of our staff and customers is important to us. Our employees practice safety procedures and precautions in accordance with the Occupational Health and Safety Act. Inspections are conducted regularly by City Power, Telkom, Eskom and the Health and Emergency Services Department to ensure that our strict safety standards remain top of mind. Our honesty, integrity and service ethics are valued by our long-standing suppliers and customers. We are compliant and adhere to all the laws pertaining to buying and selling second-hand goods. Regular SAPS inspections help us ensure that no stolen material makes its way into our processes. We take great pride in the way our staff are able to offer you the best and most professional assistance. Our team is knowledgeable and well trained in buying, cutting, sorting and using speciality machinery like forklifts, croppers, balers and excavators. Amalgamated Metals Recycling is considered as one of the best and largest metal recycling companies in South Africa. Our size and scope enable us to make a considerable contribution to a greener future for the communities in which we operate. 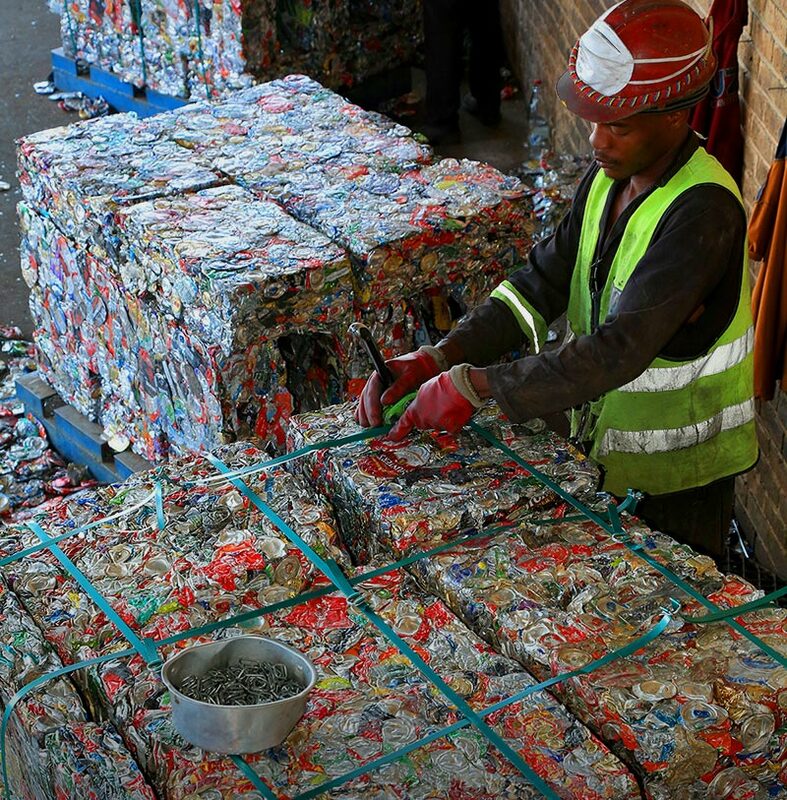 Amalgamated Metals Recycling is one of the largest informal employers in South Africa.